In our previous article we outlined one method to integrate McAfee's ePolicy Orchestrator (ePO) with Splunk’s flexible Workflow actions. 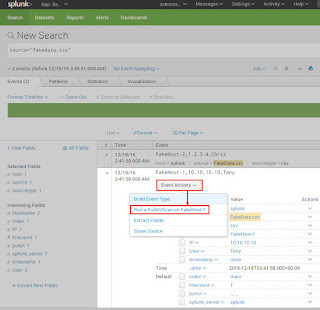 This allows SOC analysts to task ePO directly from Splunk. In this article, we will highlight a different and potentially more user friendly method. For convenience we have integrated this dashboard into version 1.1.8 of the Forensic Investigator app (Toolbox -> ePO Connector). It still may be useful to first ensure that our ePO credentials, URL and port are correct. Using the curl command, we will send a few simple queries. If all is well, the command found below will result in a list of supported Web API commands. This allows users to query for hosts using a hostname, IP addrses, MAC address, or even username. Then users can set a tag, wake the host up, and even clear a tag. Before this integration is possible, first install the Forensic Investigator app (version 1.1.8 or later). The dashboard is accessible via Toolbox --> ePO Connector. There is a Quarantine tag present by default, but others can be added via the Splunk UI by selecting the edit button on the dashboard. Fortunately, this is only exposed to Splunk admins. ePO API authentication uses Base64. The resulting URL can be modified and it will still be authenticated and will issue commands to ePO. Limit this dashboard to only trusted users. ePO seems resilient even to large queries. We also filtered out blank queries in the python script. This second ePO integration method should be quite user friendly and can be restricted to those who only need access to this dashboard. It could also be used in conjunction with out previous integration method too. Enjoy! In order to start the integration, let’s first ensure that our credentials, URL and port are correct. Using the curl command, we will send a few simple queries. If all is well, the command found below will result in a list of supported Web API commands. Do not leave the searchText parameter blank or it will return everything in ePO. Machine readable output such as XML or JSON may be desired. 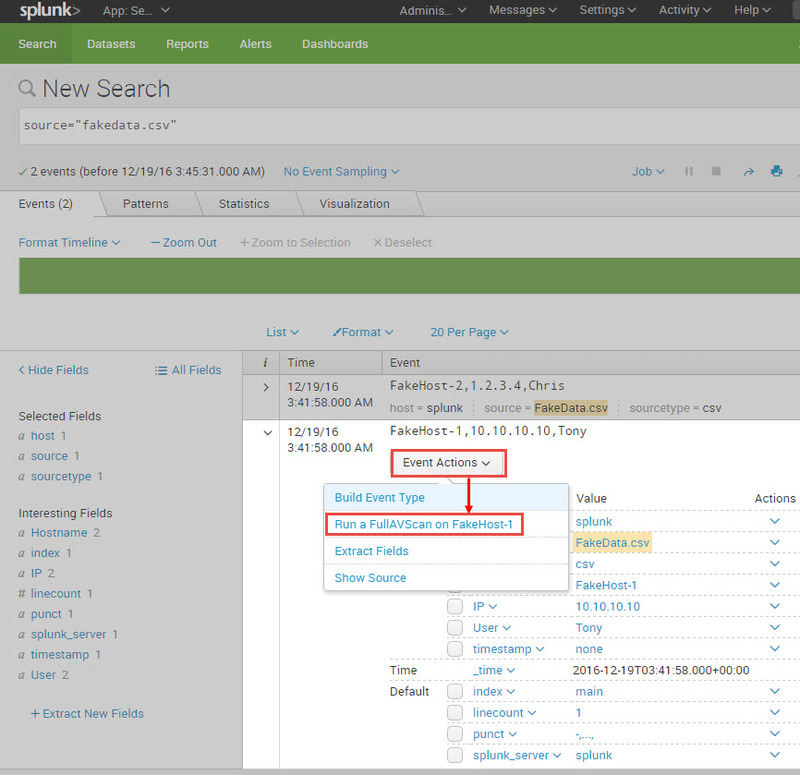 Note: You may need to restart Splunk to make sure the Workflow Actions appear in the Event Actions drop down. The results that are returned from ePO depend on the action performed, however the message seems consistent. See below for example messages for both a successful tasking and unsuccessful tasking. We have demonstrated the ability to query ePO for information by using hostname, IP address, MAC address, and user. We also showed how it is possible to apply and remove tags. But what else is possible? You could ask ePO using the first test command used at the beginning of this article. Displays all queries that the user is permitted to see. Returns the list of queries or throws on error. Requires permission to use queries. If issues arise, just use the curl command to eliminate complexity. Verify credentials, IP, port, and connectivity, then move on to more complicated integration. This is just one example of what can be done when integrating Splunk and McAfee ePO. In our next article we will discuss further integration options using a little python and simple XML. We hope this was useful if you are ever tasked with integrating these two technologies.